Vidya Balan Is On The Run! The teaser for Kahaani 2 has kicked off what looks to be a very interesting promotional campaign for the movie. 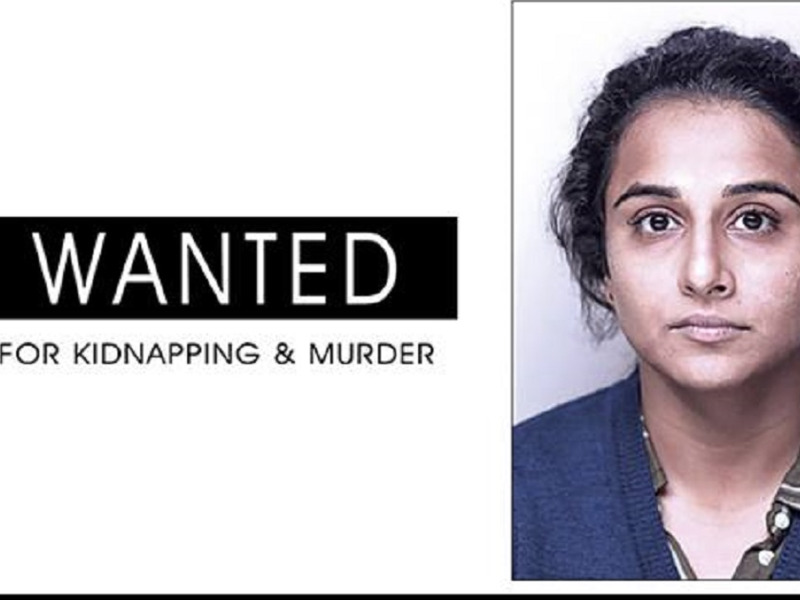 The teaser informs the viewers about a fugitive Durga Rani Singh, played by Vidya Balan, who is on the run and is wanted for kidnapping and murder. The film reunites Balan with her director of Kahaani, Sujoy Ghosh and also stars Arjun Rampal and Jugal Hansraj in supporting roles. Kahaani still stands as one of the best films, genre notwithstanding, of Hindi cinema in recent years. It started off a trend of making micro true-to-their-roots movies starring the biggest stars whose focus was purely on content and not scale. Later movies like Special 26, Baby, Teen, Piku and the latest Pink have all continued the trend and many more, hopefully, will do the same.